Restaurants near Kyani & Co. 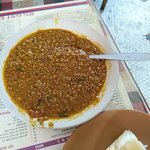 Things to do near Kyani & Co.
Parsi Food - Kyani & Co.
Review of Kyani & Co. 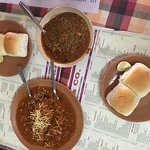 This is a landmark restaurant in South Mumbai. 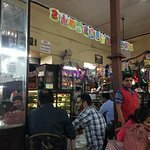 Old time place famous for its Parsi cuisine. I visited this place for lunch along with my friend. 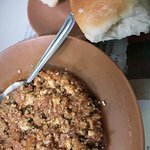 I tried Kheema Pav which was very delicious. Ambiance is average. Staff is prompt. 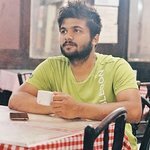 Ask vinodkhedkar about Kyani & Co.
Great service, value with unique ambience with plenty history. Limited vegetarian menu but delicious nevertheless. Ask RammohanKrishnaswamy about Kyani & Co. 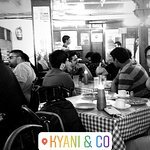 Ask Kar0212 about Kyani & Co.
We had the mutton keema which was packed with flavour and one of my favourite dishes in India, chicken parcha was also delicious. To top it off the Iranian chai is a must try! 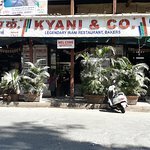 Ask Foodlover4eva about Kyani & Co.
South Mumbai has got some legendary restaurants and Kyani & Co. definitely is the one of them. 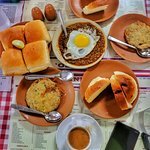 Being an egg fan, I ordered a Cheese Omelette and some bhurji. Omelette lovers should definitely go for this. 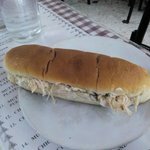 The bread for the bhurji is so soft and fluffy and it comes from their in-house bakery. Pallonji's Raspberry Soda is the apt go-to drink here. Ask 417subbu about Kyani & Co.
Been to Kyani & Co.? Share your experiences!